IN the early hours of the morning, over 3,500 people were affected by a power outage after a car crashed into a telegraph pole. 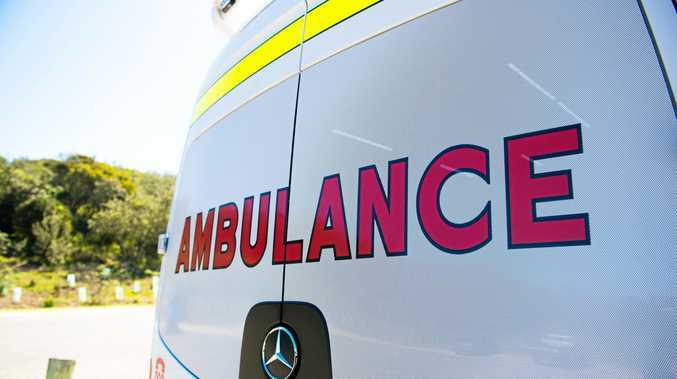 Ambulance media said they were called to the scene at the western end of Bray Street, near Baringa at 1am after the car crashed . Initial reports said the first passenger, a male approximately 18-years-old, suffered from back and abdominal pain, had a fractured wrist and a laceration to his head. The second passenger, a 15-year-old male was reported to have a fractured leg. Both teenagers were said to be conscious, breathing and alert before being transported to Coffs Harbour Base Hospital. 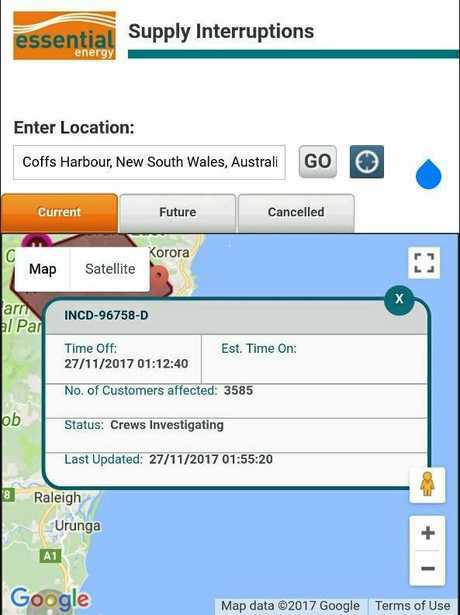 The crash caused major power outages in west Coffs harbour, Boambee, Karangi, Friday Creek, Orara, Dairyville and Bucca. Essential Energy current power outages showed the power went off around 1am, affecting 3,585 customers. There are still reports of power being out on Bray Street.